Drew McManus (of Adaptistration.com)had a fascinating post about Placebo Pricing (also see his follow-up post) that was the subject of a blogpost by Joe Patti (of Butts in The Seats) which might be a technique that could be used by Orchestras to generate more ticket sales. 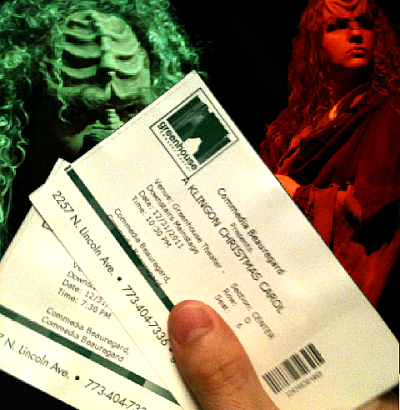 Lisa Hirsh has been blogging up a storm about some of the issues of ticket pricing from the audience standpoint. Back in 2004, McManus reported on a new pricing strategy being used by the Toronto Symphony Orchestra and the Nashville Symphony in their tsoundcheck and Sound Check programs. Simply put, the programs offerred a lower ticket price for folks under 30. While I’ve not heard much about how the Nashville program has worked (or even if it is still in place), there has been much news and blogging about the young age of the TSO’s audience. There has even been some wonderful audience testimonies–see this one at McManus’ follow up (again, in 2004) to the above post, and this recent comment at Greg Sandow’s blog. But, I also recognized, as you can see from my comment, that there can be an increase in performance revenue by selling more tickets, even at a reduced price. Since orchestras generally only fill an average of about 70% their total capacity for regular concerts, filling the hall at a reduced prices could actually increase the amount of revenue. In fact, by increasing the range and number of ticket options, many orchestras may actually be able to raise revenue. In economics this is known as Price Discrimination1. A pricing strategy that charges customers different prices for the same product or service. In pure price discrimination, the seller will charge each customer the maximum price that he or she is willing to pay. In more common forms of price discrimination, the seller places customers in groups based on certain attributes and charges each group a different price. He gives examples of the Chicago Symphony Orchestra raising revenues by increasing the number of price categories from 13 to 20 (Ravanas 2008) as well as the Boston Symphony Orchestra which, in the early 20th century, used to auction its choicest seats while a “large portion of the symphony hall in Boston [was] kept for music lovers who [could] afford only 25 cents or 50 cents” (Aldritch 1903). Interestingly, Flanagan also states that diversification of endowment portfolios is advice he suggests would also bring in more non-performance revenue. Baumol Effect aside, it seems like most Orchestras [studied in his book] just aren’t running their organizations at maximum efficiency and generally could do more to bring in performance and non-performance revenue simply by applying a little more diversification of existing revenue sources. The diversification of different kinds of Orchestra concert offerings (e.g. the addition of pops concerts, summer outdoor concerts, children’s concerts, ‘coffee hour’ concerts) is probably the most publicly recognizable way of seeing this kind of economic strategy at play. Of course, I’ve always felt that diversification of a “performance skills portfolio” is one of the best ways to maximize the ability to get paying gigs for individual artists (or smaller groups) — it’s all pretty standard economic advice. It will be interesting to see if the price discrimination in tickets that the Toronto Symphony surely must be using in some manner has actually helped to increase ticket revenues. 1) See also Andrew Taylor’s blog post about dynamic pricing. 2) Sunil Iyengar’s blog post summary and review of Flanagan’s work. In particular, the link to the Emerging Practices Seminar 2011 he attended in Chicago which had presentations on dynamic pricing and revenue management. Aldritch, R. (1903) “‘Permanent Orchestra’ Season a Bad One.” New York Times, May 3. Courty, P., M. Pagliero (2009) “The Impact of Price Discrimination on Revenue: Evidence from the Concert Industry.” CEPR Discussion Paper no. 7120. London: Centre for Economic Policy Research. Flanagan, R. (2012) The Perilous Life of Symphony Orchestras. Yale University Press. Ravanas, . (2008) “Hitting a High Note: The Chicago Symphony Orchestra Reverses a Decade of Decline.” International Journal of Arts Management 10 (2): 68-87. Previous Develop your unique voice, the branding will follow! Great post, Jon. I don’t know when I’ll have time to follow all the links, but I’ll just point out one thing (or perhaps underscore it). If you sell a ticket that would have otherwise remained unsold, even at a discount, you increase your revenue. I bought a shirt for $40 at Nordstrom Rack last night that didn’t sell in the regular Nordstrom’s for (the tag claims) $98.50. They didn’t lose $58.50; they gained $40. I don’t buy $98.50 shirts (even if they originally sold for $250), and I even wince a bit at $40. But it’s a really nice shirt. They have this figured out pretty well in New York, where the Theater Development Fund (tdf.org) sells discounted advance tickets to Broadway, Off-Broadway, Off-Off Broadway, and even classical concerts online at steep discounts (usually $39.50 for Broadway shows). Then on the day of the show, demand is a bit higher, and they sell tickets at a 30-50% discount at the TKTS booths. It’s all worked out with sophisticated computer projections of ticket sales, and it serves to maximize revenues by increasing sales of tickets, most of which would have gone unsold otherwise. They are not “losing revenue” this way, they are increasing it. One other thing. You spend money to make money. (Some) business people talk about the “cost of getting a customer,” because a majority of revenue comes from existing customers. Someone who gets steeply discounted student tickets or 35-and-under tickets is much more likely to convert to buying full-price tickets and/or making donations down the road if they have started attending in the first place because of the discounted tickets which (in most cases) they wouldn’t have bought otherwise. Other businesses happily lose money on initial sales to new customers if it’s part of a business model which leads to repeat customers. OK, now I really HAVE to clean the kitchen. If you sell a ticket that would have otherwise remained unsold, even at a discount, you increase your revenue. Now, the fact that this pass is available at all means that very likely I can get rush seats for any concerts I don’t already have tickets to. But it is an unusually blatant discount; for a third of what I paid for three seats, a gambler who waited can get into nine concerts. Of course, nothing is keeping me from buying the pass and going to a few additional concerts. It’s just….maybe rewarding the wrong behavior, when a subscriber starts kicking herself for having bothered to buy tickets in advance. Weighing the cost of lost customers or customers who may choose to wait for the deals (though may not get them) should get factored into the equation. I think your New York Theater example and Lisa’s SFS example are a bit safer in that the discounts happen well in advance of the event as well as right before. That my be the ticket to reducing audience resentment–and I thin that’s also what Drew and Joe were getting at in their Placebo Pricing–having a constant “sale” might do better for audience perception than just outright reducing ticket prices. And exactly with the investment in developing new/future audiences. I hinted at that in my comment at your blog–bring in the audience at an earlier age and the potential future full price subscribers and donors will increase! Also, the public perception of constantly packed halls could lead to other types of contributed revenue from organizations that see that an Orchestra surely must be a vibrant part of the local community! Sorry I couldn’t respond sooner–was out of town all weekend, but I hope you got your kitchen cleaned. We had to do that as well as some relatively big repairs to the house as we’re hoping to re-finance! Hello Jon, nice post, thanks!